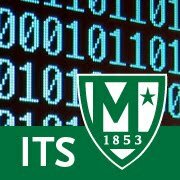 The ITS ticketing system will be down for an upgrade from 8AM - 12PM on Saturday February 14th. This means that emails to its@manhattan.edu, #tellits submissions, and text messages to ITS will not be received until after 12PM. If you need assistance during this time period you should call Client Services at 718-862-7973. No other methods of contacting ITS will work during this time.